The Zumba Instructor Conference produced by George P Johnson at the ICC London Excel scooped Domestic Conference of the Year at the C&IT Excellence Awards 2012. Judges described the Zumba Instructor Conference organised by George P Johnson as an "energetic and exciting event, which translated into good returns". 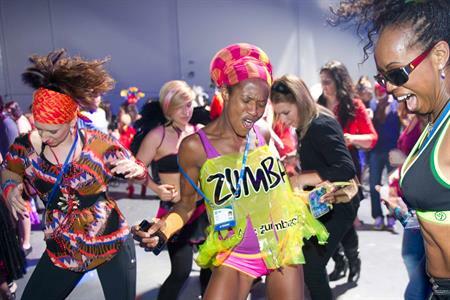 The three-day conference at ICC London Excel - the first major event outside the US for the fitness brand - attracted 2,087 delegates from the UK and European Zumba Instructor Network (ZIN), with the largest representation from the UK. Delegates scored the overall experience 8.8/10 and the on-site 4,000sqm ZumbaWear Merchandise Store grossed a whopping £408,277 in just three days. The event took place over a weekend, and instructors got the chance to take part in workshops, sessions and keynotes to give them a chance to boost their careers. The first day ended with the Zumba Fitness Concert - a fusion between a pop concert and fitness workout - led by Zumba founder Beto Perez, and the conference ended on a high with a colourful carnival night. See pictures from the C&IT Excellence Awards 2012 evening here.